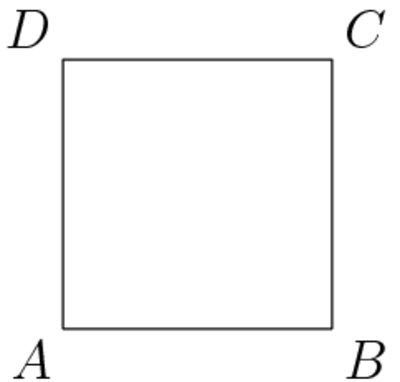 If you have been on the internet looking for articles that explain the difference between a rhombus and a square, you have probably come across articles that say a square is actually a rhombus. Is this correct? And if it is, what is the reason behind it? If it isn’t correct, then what is the difference between a rhombus and a square? Because of its appearance, a rhombus is also sometimes called a “diamond” or a square that is being pushed over to one side. A square is technically a rhombus (it has parallel sides and perpendicular diagonals that bisect each other). It is also, by definition, a trapezoid, a kite, and a rectangle. So if a square is a rhombus, then what is the difference between a rhombus and a square? Both a rhombus and a square are parallelograms and quadrilaterals (which means they have four sides with parallel opposite sides). The main difference between the two is that, while a rhombus has two opposite internal angles of equal measure, a square has four right angles with equal measure. Additionally, a rhombus does not have sides that are perpendicular to each other, unlike to a square. In short, a rhombus that has right angles or angles that measure 90 degrees is considered a square. This means that a square is a rhombus, but not all rhombuses are squares.